With the explosion of small breweries in the U.S., it is not unusual to hear stories enumerating the problems encountered by these breweries as a result of outdated alcohol laws and regulations. It begs the question: What changes in the law can be made to allow these small breweries to thrive? There are three brewing licenses defined by Massachusetts law: farmer brewer, pub brewer and manufacturer. Farmer and pub are responsible for the boom in small breweries. Most breweries opening today are licensed as farmer brewers. Does that mean they are a farmer or are obtaining product locally from farmers? No, none of that. It means they can only sell their alcohol product at their bar or tasting room, plus they can freely self-distribute their product to other retailers and wholesalers. So what's the farmer thing about? I'm not sure, but I think the intention was to inspire farmers to grow their own barley and hops and create value by retailing these products. However, I cannot think of a single farmer brewer licensee that does this, though I'm not saying there isn't one out there. The situation for farmer brewer licensees is pretty good, since they can self-distribute and sell retail. Their one big problem – a problem for all brewery licensees – is limited access to markets due to Massachusetts Franchise Law. Franchise law requires the brewer and distributor/wholesaler relationship to be permanent in a particular region of distribution. In other words, brewers are stuck with a distributor unless they can demonstrate a serious grievance and have bottomless pockets for legal fees. A distributor not selling your beer, or not selling it well, can just sit on your product, effectively putting you out of business. Franchise law was meant to protect small distributor/wholesalers from big breweries back in the 70s. 45 years later the landscape has flipped and the now very large distributors are still being protected. And they love it! The pub brewer license is for businesses wanting to to retail alcohol other than their house-brewed beer. Properly licensed pub brewers have the ability to pour anything they want along with all of their own beers. However, this license is restricted from self distribution. Pub brewers must use a distributor/wholesaler (along with that permanent relationship dictated by franchise law) - a very expensive option for a brewery trying to get started in distribution. Massachusetts currently has around 140+ breweries (and that number is growing), which ranks us at about 17th among states in the U.S. Another statistic, breweries per capita, ranks Massachusetts 24th! Clearly there is room to grow. It may take a while to clean up the brewery laws – and good people are working on it – but in the meantime, if issues surrounding the franchise law can be remedied and self distribution can be legalized for pub brewers (both have bills pending on Beacon Hill), small breweries can enjoy unfettered access to markets and Massachusetts can get back on track as a leading brewing state. 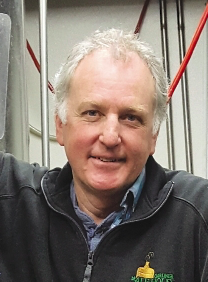 Rick Walton is owner and president of Moon Hill Brewing Co. in Gardner. Gardner Ale House is hosting a “Be Our Valentine Dinner,” on Tuesday, Feb. 14 from 5 to 9 p.m., located at 74 Parker St. in Gardner MA. An elegant dinner for two for only $60 -- the menu boasts baked brie, a trio of steak medallions, shrimp cocktail, duck confit with risotto and much more. Reservations are encouraged. Check out the website, gardnerale.com, for the complete menu and details. Night Shift Brewing in Everett is hosting Flight Night – a Valentine’s Day Cheese Tasting. Forget the chocolates and celebrate Valentine's Day with cheese and beer this year. Formaggio's Will Sissle will be onsite in the Annex on Tuesday, Feb. 14 for an evening of tasting and learning. Will is collaborating with the Night Shift team to put together a set of four amazing cheeses, expertly paired with 4 oz pours of Night Shift’s renowned beers. 5 p.m. session tickets are still available. For tickets, click here. Not looking to get all sappy with the lovebirds this year? Head to Dorchester Brewing Co., and boycott the whole thing! Anti-Valentine’s Day Trivia starts at 7:30 p.m., entry is free. For more details, click here. 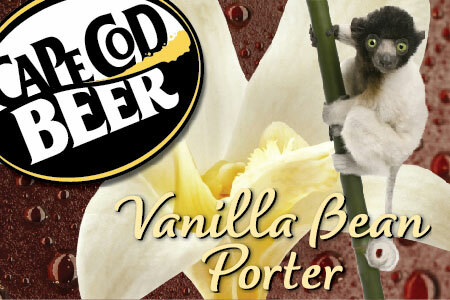 Cape Cod Beer is releasing its popular Vanilla Bean Porter for Valentine’s Day. This drinkable dark beer with a chocolatey malt character is infused with Madagascar Vanilla Beans. Madagascar Vanilla Beans are known for their superior flavor and aromatic qualities making them the most popular and sought after vanilla variety. The label features a lemur, the most well-known wildlife from Madagascar. The flavor is rich, dark and creamy with a sweet, buttery aroma, pairing perfectly with the delicious dark chocolate malt flavor in our Porter. This beer is exclusive to the brewery and available in 750 ml bottles only. It’s delicious paired with chocolate or with vanilla ice cream as a beer float. 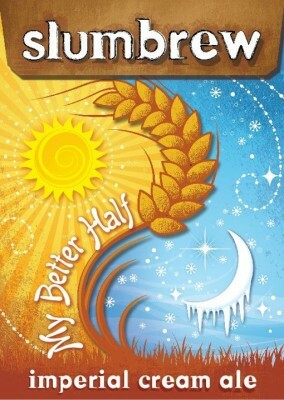 However you are celebrating (or not celebrating) we hope its with a good local beer! Cheers! Mass Brewers Guild Board of Directors post with State Treasurer Deb Goldberg who delivered the afternoon's keynote address .